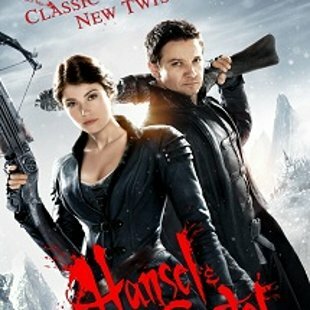 Tommy Wirkola’s Hansel & Gretel : Witch Hunters has found a connect with audiences across the country. The gore is prominent in the movie, and everyone, from the lovers of gore right to the squeamish people that clench their eyes shut through half the movie. Celebrities and fans alike have been praising the movie. Rannvijay Singh called it an entertaining movie, and termed it as a ‘much watch’. Adah Sharma called it ‘a bloodbath of magic that make u gasp with delight! great action, awesome makeup, gory witches! must watch!’. And the praises weren’t limited to just the celebrities. Twitteratis were equally excited about the movie. @AvanikaYB said “watched #HanselAndGretel last night. Loved it.. the gore was totally watchable and watching witches die was awesome!”. Another prominent Twitter personality, @TashaFrancesca deemed the movie as a ‘must watch’ for its ‘action and crispness’. @GauravTilokani appreciated the innovative use of 3D in the movie, since it went beyond the stereotypical 3D all about depth perception. It’s quite clear that the movie is a raging success, and has found its connect with the right audiences!